Aqua Pools Online > About > Blog > How long can I expect my pool to last? Installing a pool at your home is a major life decision. You are investing in something that will impact your family for years to come. You want to make sure that you do everything you can to make that pool last as long as possible. So how long can you expect a pool to last? And what can you do to make your pool last as long as possible? We’ve got the answers. There are several different types of pools each with various pros and cons. Each with a different projected life span. Looking at the life expectancy of each type of pool is a good place to start your research. Let’s start with an above ground pool. These are the pools with the shortest life expectancies. A high quality above ground will generally last 10-20 years. Those years aren’t without added expense. Throughout the years, you can expect to replace the liner at least once or twice, while the frame should last the full 10-20 years. When it comes to in-ground pools, a vinyl liner pool is a popular option. These pools are customizable and have a lower upfront cost. The drawback here is that the liners typically have to be replaced every 10-12 years. Once the liner is replaced your pool will be good to go for another 10+ years, but there will always be a recurring cost with this type of pool. Concrete pools certainly have their place, but have been taking a backseat to other styles in more recent years. The life of a concrete pool varies quite a bit based on the area, usage and installation conditions. They need to be resurfaced every 10 years, but with proper maintenance and upkeep can last for a long time. Fiberglass pools are a long-lasting, low-maintenance option. Their life expectancy is over 30 years! They don’t require resurfacing or new liners. Their non-porous surface helps them look great throughout their life. Unfortunately, they are limited on shape and size. Gunite pools are among the longest-lasting pools on the market. When gunite pools are properly installed they could potentially last 100+ years. They are extremely durable and totally customizable. Now that you have a general idea of how long each type of pool lasts, there are a few other factors that can affect the life of your pool. These things apply to every type of pool and are totally within your control. As with most things, manufacturers can vary greatly. There are always companies that care very little about quality and are solely focused on the bottom line. There are also great manufacturers that care about distributing a high-quality product for their customers. 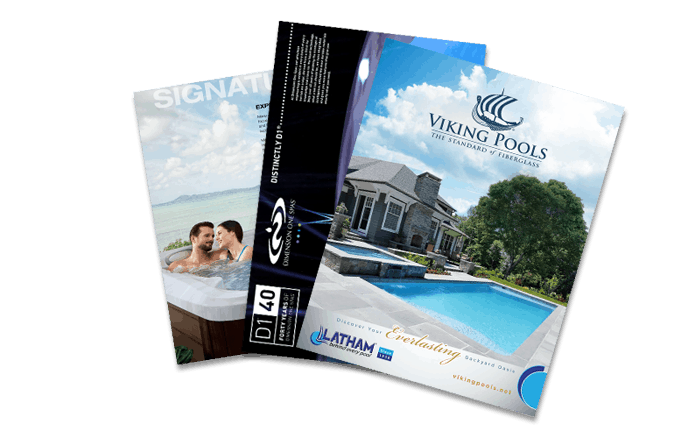 When it comes to a pool, you want to make sure that you are looking for a manufacturer like Latham. They make pools with the best techniques and the highest quality materials so your pool will last as long as possible. When you start your pool build be sure to choose a very reputable manufacturer. Proper installation is also vitally important no matter which type of pool you are talking about. There is absolutely no match for a highly experienced installer. That experience means that they have seen and dealt with a number of challenges. When it comes to hurdles with your installation, they will know the best way to overcome those challenges. This gives you a proper installation that won’t cause problems for you years down the road. Check out the references for your pool company. Make sure you are hiring someone who has a solid reputation for great pool builds. Finally, how much life you get out of your pool is also dependent on you. Proper pool maintenance can make or break the life of your pool. We have all seen old pools that still look and run great. We have also seen newer pools that look way past their prime because they weren’t taken care of. Anything that spends its life out in the elements, filled with water, baking in the sun is going to require proper upkeep. Fortunately, that upkeep isn’t difficult and it can dramatically improve the life expectancy of your pool. At Aqua Pools we know how to get the most life out of the pools we install. When you invest with us, you can rest easy knowing that your pool comes from a top notch manufacturer. It is being installed by some of the best in the business and we will make proper maintenance a piece of cake. Come see us to get your pool project rolling today.